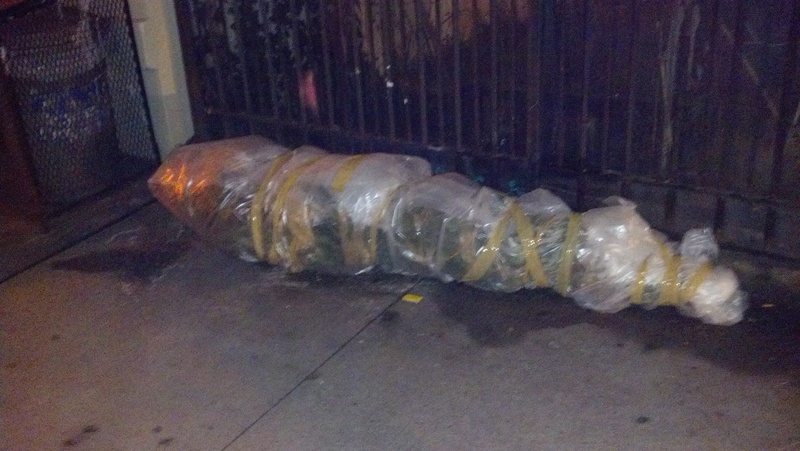 This bagged body was seen in the trash area on the side of the street one night. What happened to lead to this moment is anyone’s guess. Some people have such disregard for human life that this is the end result of their psychosis.